VERY EAGER TO SELL! PLEASE MAKE OFFER! 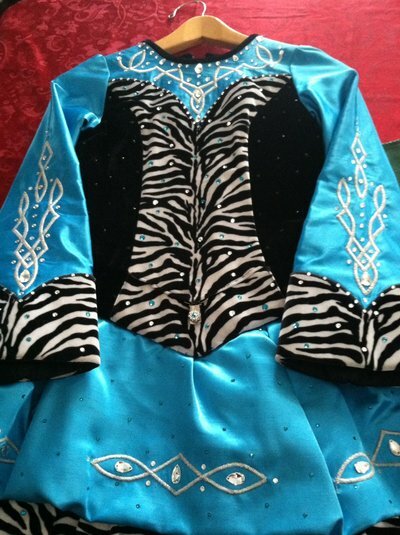 Beautiful blue and black and white zebra print dress from The Velvet Castle. Sole owner. Hundreds of swarovski crystals added. Sparkles on stage. Comes with shawl, kick pants and headband. Stored in a smoke free and pet free home. Must sell due to growth spurt. Asking Price: $US300 or best offer. Shipping costs are included for my own country, overseas shipping is extra. Sale is final.